Club Penguin Cheats by Mimo777 Club Penguin Cheats by Mimo777: Rookie Coming to Club Penguin! 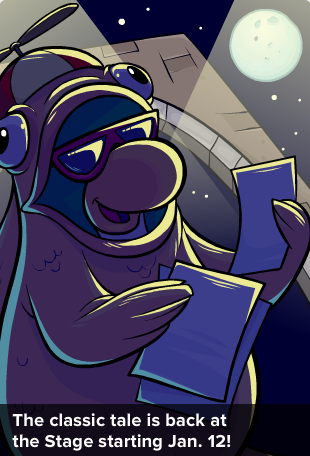 Remember this Club Penguin January sneak peek by Happy77? We wondered which famous penguin you thought would be coming this month. Since there are 6 question marks, I suspected it would be Rookie since his name has also has 6 letters... and, it IS!! Rookie has re-written the Twelfth Fish script! So, we will so have to go get that stamp next week! hey mimo! There's a new paper out and the CFC results are at the Beach! New messge from rookie! HE WILL COME TO PARTY! YOU WERE RIGHT! YOU ARE AWESOME! actually the ?????? should be Sensei cause when he first appeared shoveling that was his player card!!! duh! why would it be rookie. of course all the noobs don't remember that, but you do right mimo? Yay! 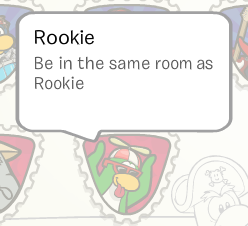 This is the first time Rookie is gonna be on clubpenguin! I guess where he'll be at the party. Nope, he appeared in CP in April 2011.
awsome Mimo it has some clues in the interview too! BTW when r paydays?i got payed 3 times by epf and i joined in May 2011. EPF agents recieve 350 coins a month. If you are not recieving your pay, please contact Club Penguin Support. 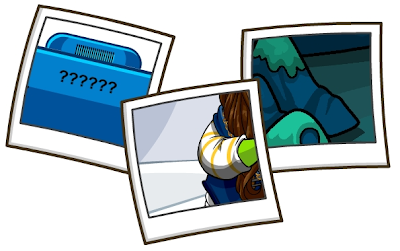 I don't see why Club Penguin would add a new character just for one party. It really doesn;t make sense. It'll probably be Rookie, since he's only visited once, and was hard to find.